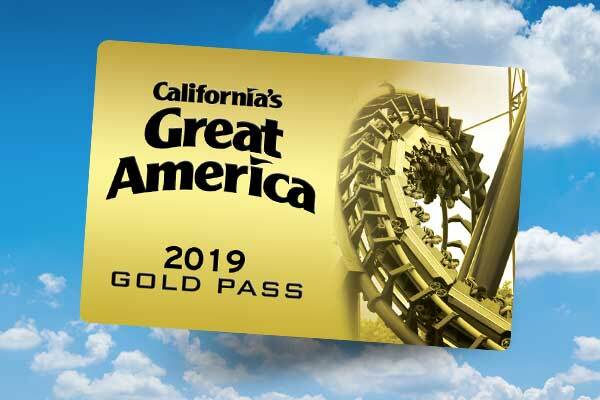 As area manager of digital marketing for California’s Great America, I get to tell the incredible stories of our park to the world—and take our biggest fans Between the Lines. I’ve been an incurable amusement park fanatic since I was a kid and have worked at two other parks (shout-out to Cedar Point and Valleyfair!). Now, I can’t wait to share my passion with our readers! 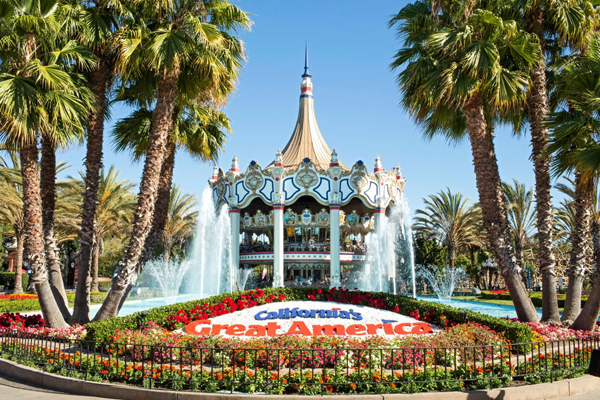 The “off season” is no sleepy time at California’s Great America. 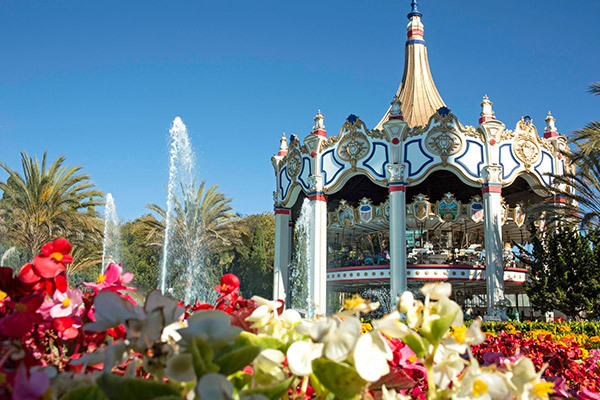 We’re constantly working to improve, beautify, refresh and update every aspect of the park so our guests return to an even better experience at the beginning of each season than they saw the year before. 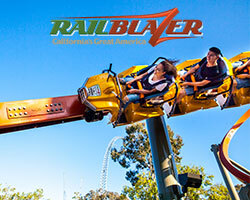 Part of the way we are bringing our commitment to continuous improvement to life is by sprucing up one of our most iconic and popular thrill rides with a bold new look. 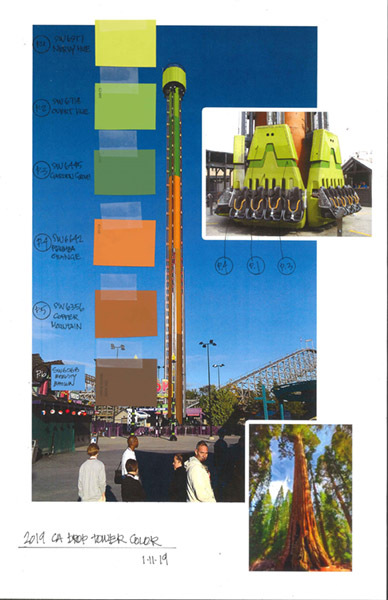 In an homage to the natural beauty that surrounds the park, Drop Tower will be repainted in the coming weeks to resemble the thousands of giant trees that are found across Northern California. The tower will transition from rich browns at the base to vibrant greens at the top. Not only will the tower itself be painted but so will the ride’s vehicles. Each of Drop Tower’s six cabins will undergo a green refresh to complete the nod to NorCal’s famous sequoias and redwoods. Crews have already begun scaling the tower, power washing away any dirt and debris they find along the way. Then, early next week, we should begin seeing the new color scheme take root and grow the entire length of the tower by mid-February. 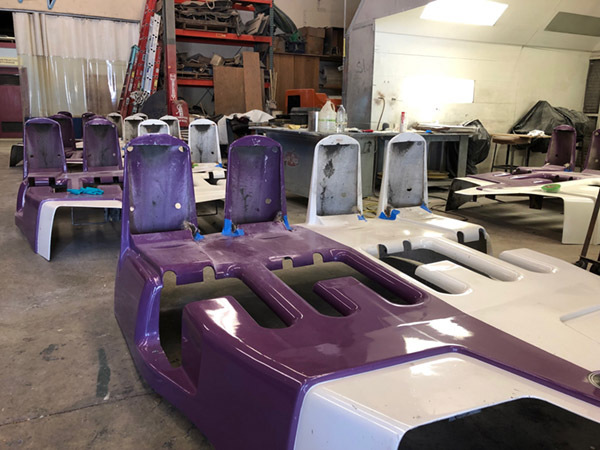 Since the ride vehicles’ fiberglass shells have already been removed for the project, another crew is busy giving them a detailed look. Each one has been laid down in our maintenance shop and is being closely inspected for cosmetic issues. 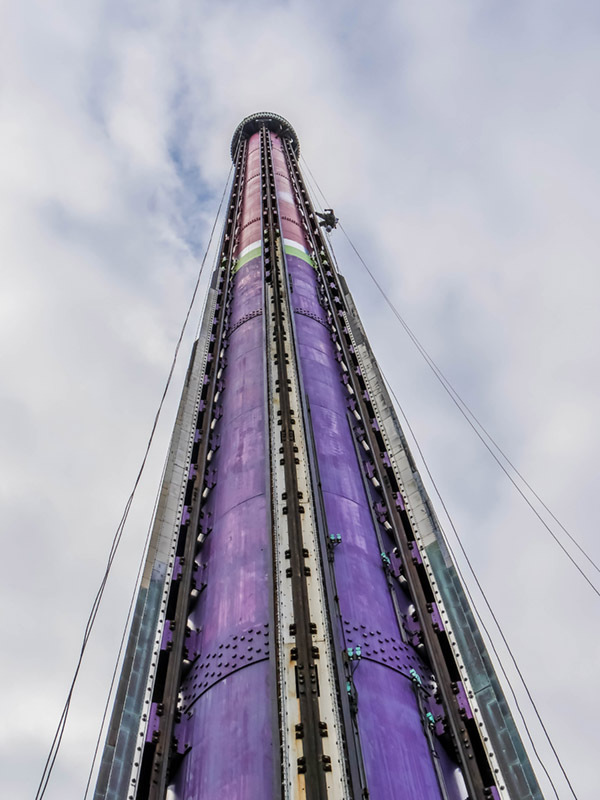 Any dings or scratches that are found are being patched up right now so that when Drop Tower reopens this spring, it will look as good as new. 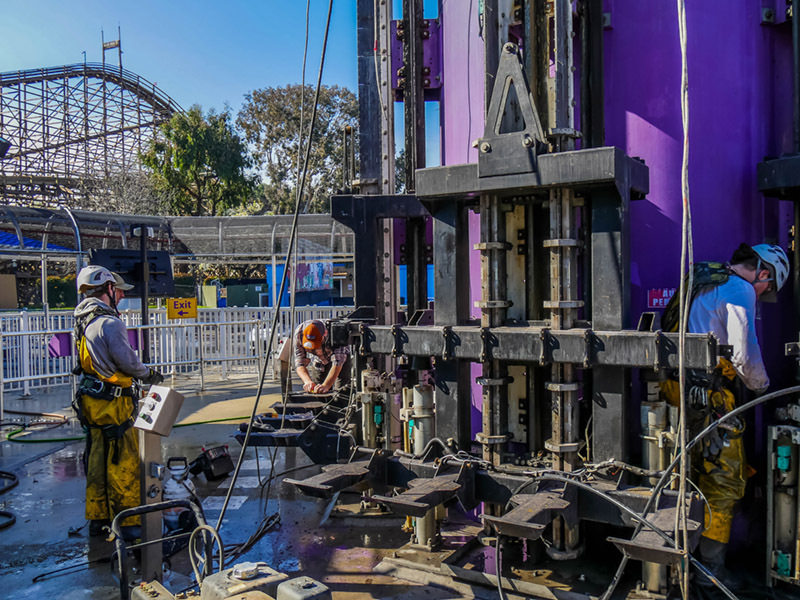 Our Drop Tower makeover is just the start of many projects that are currently underway at Great America. Stay tuned to our blog and social channels over the off season to stay in the know!